Funko,Star Wars,Pop! Vinyl Figures,Their greatest strength will be each other.so collect the whole gang of Star Wars Rebels ! 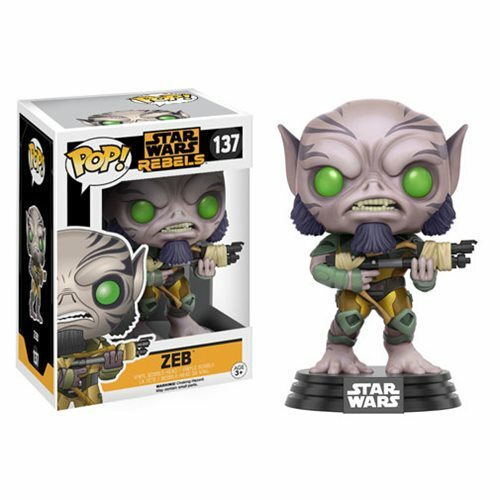 From the popular animated series based on the Star Wars universe, Zeb has received the Pop! Vinyl treatment.